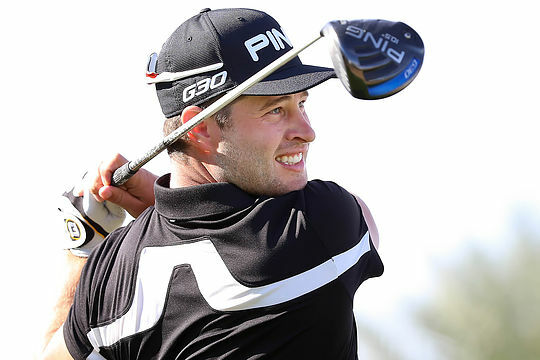 Swede David Lingmerth, ranked 212th in the world, defeated Justin Rose in a playoff to claim the Memorial Tournament at Muirfield Village on Sunday. Lingmerth was attempting to secure his first PGA Tour victory in his 68th start and a par on the third sudden death hole was enough to beat Rose, the 2013 US Open champion and world number 6. “This is my third year on the PGA Tour, and it’s one thing to be a PGA Tour player, but it’s a whole other thing to be a winner out here,” said Lingmerth. While the victory gives Lingmerth a three-year US PGA tour exemption and entry to the PGA Championship and next year’s Masters, he still faces a 36-hole qualifier for the US Open on Monday. He moved to No. 71 in the world, and only the top 60 are eligible for the year’s second major after next week. The qualifier in Columbus for a place at the June 18-21 US Open at Chambers Bay is one of the main reasons Lingmerth chose to play the event as opposed to playing in his national event at the Swedish Masters. “It is a little heartbreaking not to get to play in Sweden but sometimes you have to make those decisions,” he said. Rose began the final round with a three-shot lead and was going for his eighth victory over the last five years. What advantage Rose had was gone in four holes through some wayward tee shots and missed putts. Rose had to scramble just to get back into the mix and made a par save from deep rough for a 72 to force a playoff. World number two and Masters champion Jordan Spieth shot a 65 to post the early clubhouse lead but eventually tied for third with Italian Francesco Molinari at 13-under. It was Spieth’s sixth top-3 finish in his last 10 starts. Tiger Woods shot a two-over 74 on Sunday, an 11-shot improvement on his career worst 85 on Saturday. The 39-year-old finished last at 14-over (302), the worst 72-hole total of his career. Marc Leishman was the best of the Aussies finishing in a tie for 5th place at 12-under, three shots from the leaders. Greg Chalmers finished in a tie for 31st with Matt Jones in a tie for 40th. Steven Bowditch riding on a wave of success from last week’s win finished in a tie for 52nd with a final round 80 dropping him 38 places on Sunday. John Senden was a further place behind in a tie for 57th whilst Jason Day missed the 1-under cut mark by a shot to miss the weekend in his adopted home-state alongside Cameron Smith.